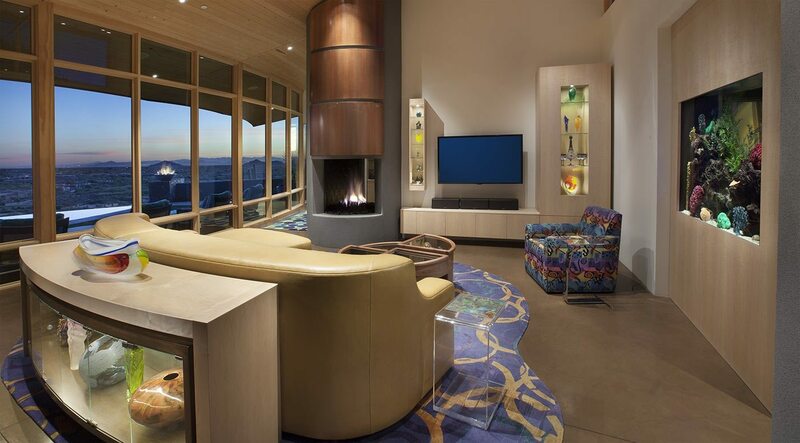 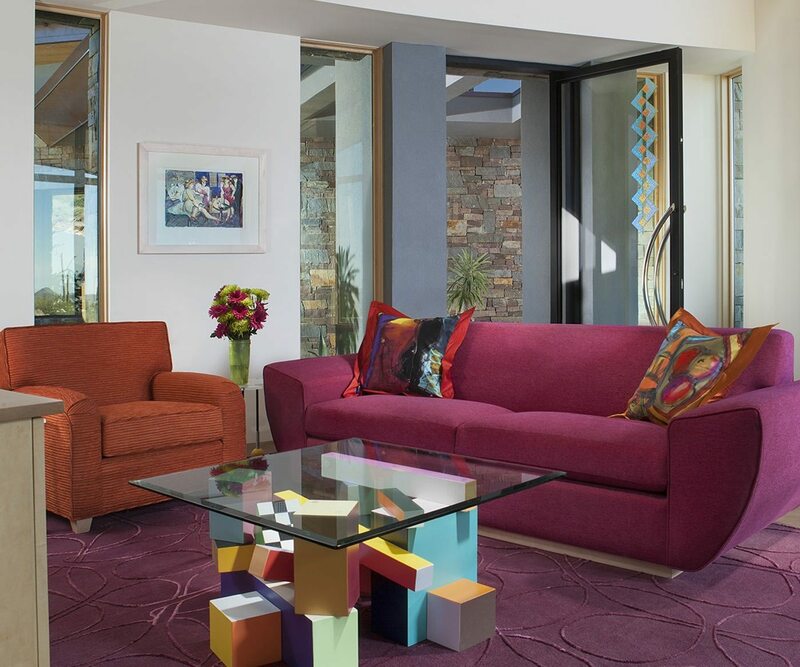 The team at Janet Brooks design prides itself in creating one of a kind exciting and original interior designs. 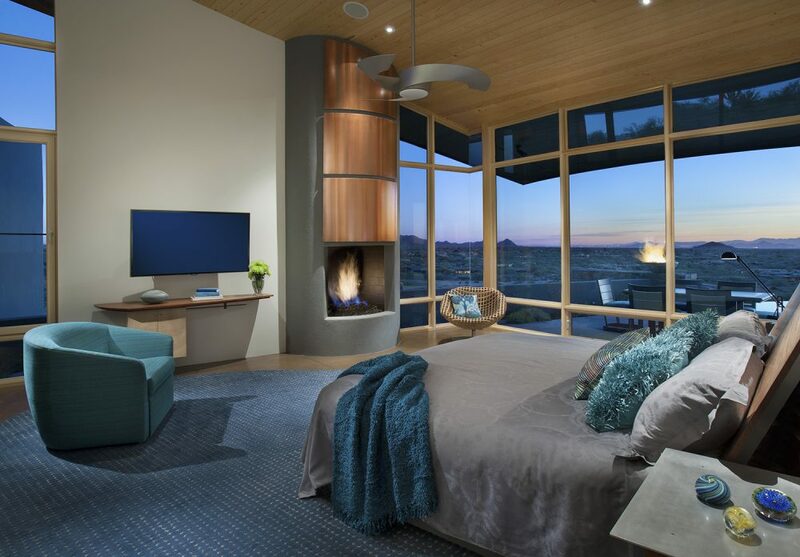 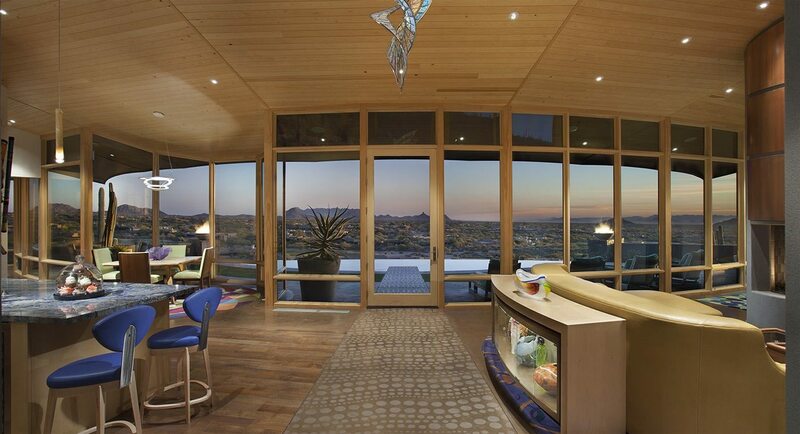 This home in Carefree highlights special Phoenix interior design aspects. 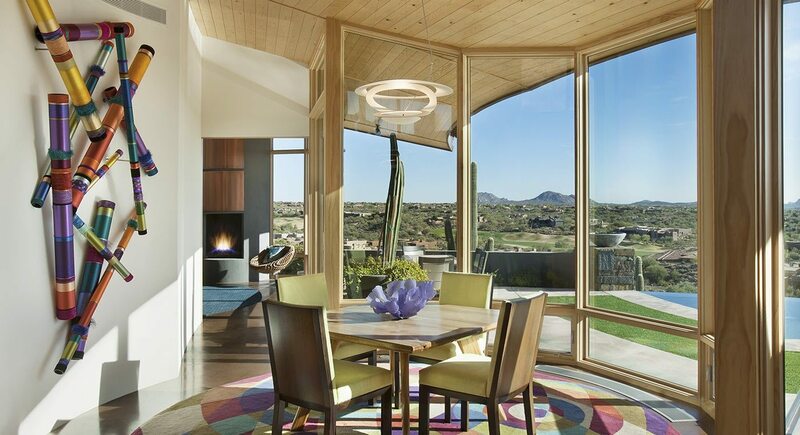 Colorful, curvy and contemporary are the best words to describe this home in Carefree, Arizona. 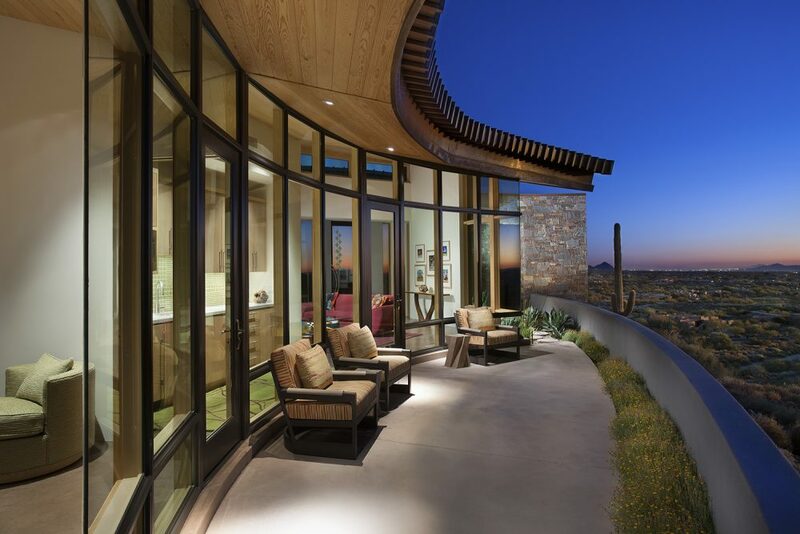 The architectural elements of the home are simple: a lot of floor to ceiling glass, concrete floors, wood ceilings, and copper accents both inside and out. 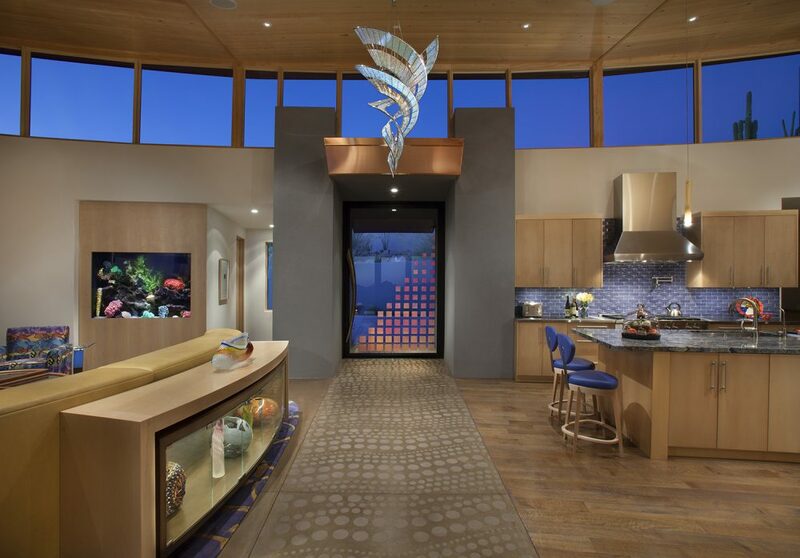 This basic background became the blank palette upon which to paint playful new designs making this home the new 4 C’s of Arizona highlighting Ceiling, copper, concrete and Carefree!